The Turkish people will not allow Istanbul to become Constantinople, President Recep Tayyip Erdogan said on Monday, in reference to the city's former Christian name, which was reportedly referenced by the attacker who recently carried out an act of terrorism on two mosques in New Zealand. He criticised New Zealand and Australia for sending troops to Turkey in the first world war Gallipoli campaign, claiming their motive was anti-Islam-oriented. His overseas trips come after representatives from the Turkish Government spent a couple of days in Christchurch to pay their respects to the victims of the terror attack. The rallies for the March 31 election were aired live on Turkish TV. "Have no doubt we will send you back like your grandfathers", Mr Erdogan told his supporters. "If such abhorrent views go unchecked in the media, and indeed within mainstream political discourse and institutions, minority communities of all descriptions will continue to face increasing threats of persecution around the world", they said in their open letter. 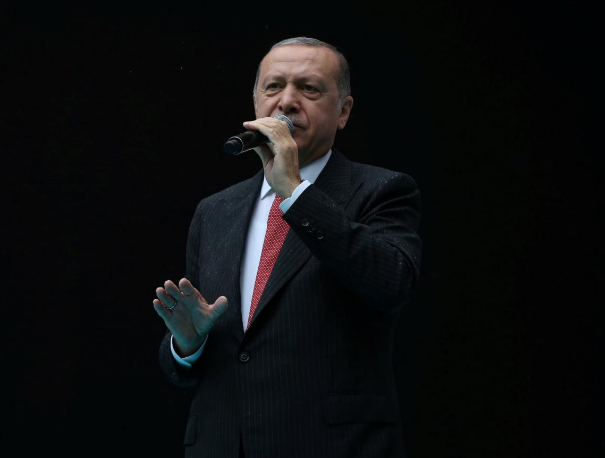 Erdogan's decision to project footage from the attack - posted by Tarrant on Facebook - on large screens during his speeches, drew a rebuke from New Zealand's Foreign Minister Winston Peters. The statement, however, commended New Zealand's Prime Minister, Jacinda Arden, "for calling the attack what it was, "a terrorist attack", and for the efforts being made by her and her government to engage the Muslim community in this sorrowful period". Erdogan stated earlier that the terrorist who had attacked Muslims in mosques in New Zealand had twice been to Turkey, and the purposes of his visits and who he met with are now being specified. "We had a long dialogue on the need for any other country, or Turkey for that matter, to ensure that our country, New Zealand, was not misrepresented", he told a press conference. "We call upon the respected governments of the world to realise the unsafe threats posed by far-right groups and white supremacists and to take proactive measures in order to protect and educate citizens", they said. Erdogan said the suspect had twice visitedTurkeyand had warned that Turks have no place in Europe. Turkish authorities have begun investigating everything from hotel records to camera footage to try to ascertain the reason for his visits, the source said.